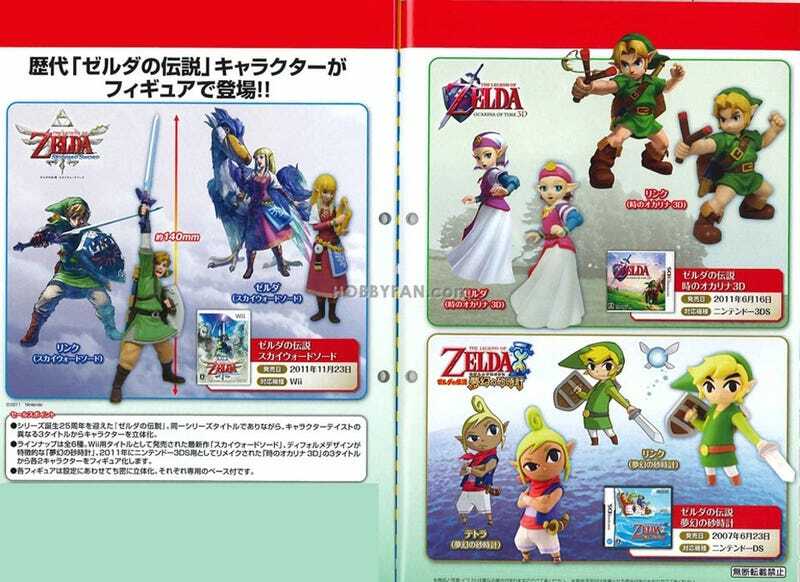 While we're still waiting for proper, new Zelda action figures, Japan keeps getting Gashapon (capsule toy) pieces, continuing with this new line celebrating three very distinct eras of the franchise. There are six figures in all, with a Link and a Zelda from each.Ocarina of Time (the childhood characters), Phantom Hourglass (so, Wind Waker) and Skyward Sword are represented, each faithfully recreating the art style of the respective games. You can preorder the set now for $35.